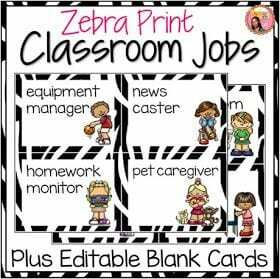 Because taking care of your classroom community is a job for everyone! 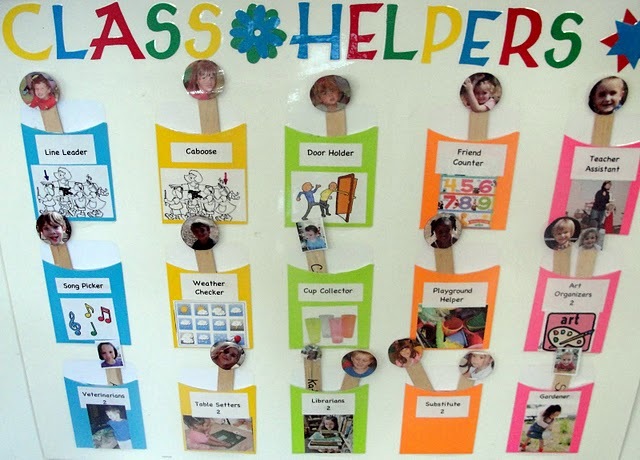 Creating classroom jobs is a great way to teach students about responsibility and the importance of taking care of the spaces that they use. 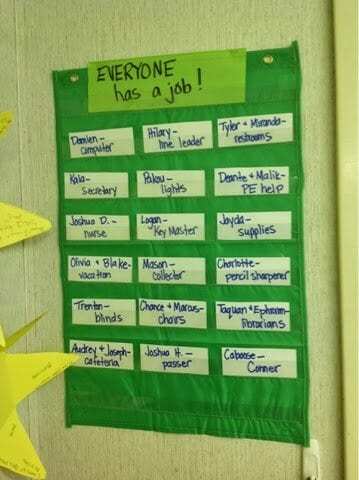 But what’s the best way to organize and assign jobs so that everyone know what they’re expected to do? 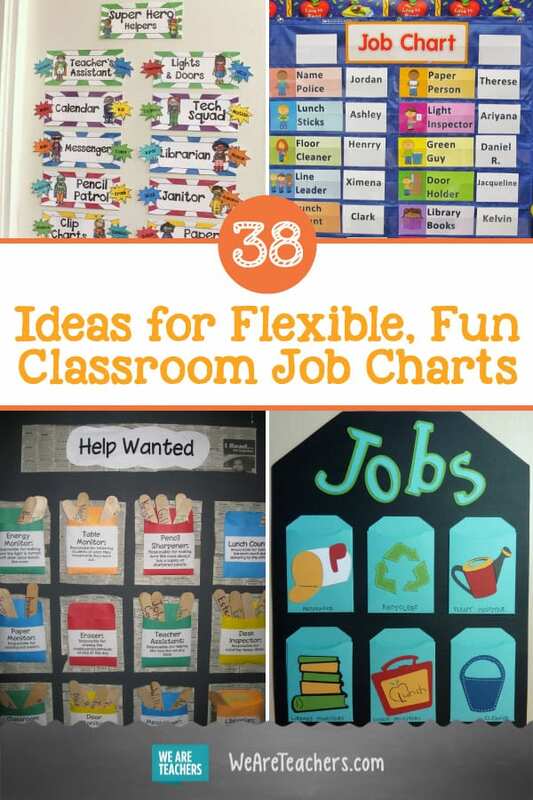 Well, check out these fun classroom job charts we found! 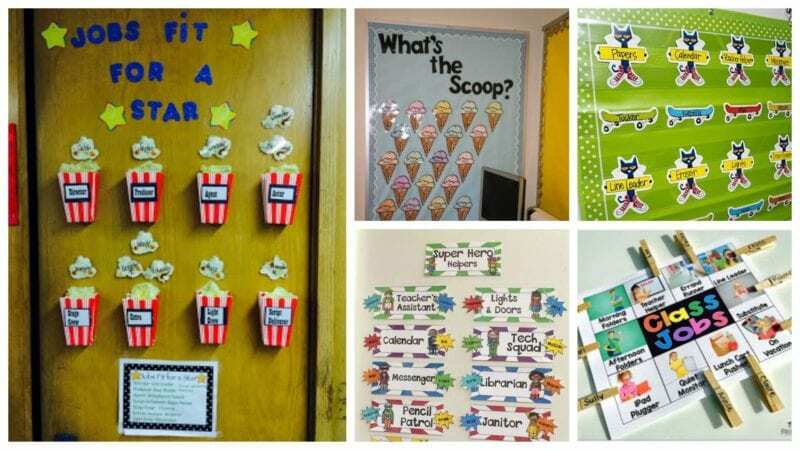 If you love creating resources for your classroom, you’ll find tons of ideas. 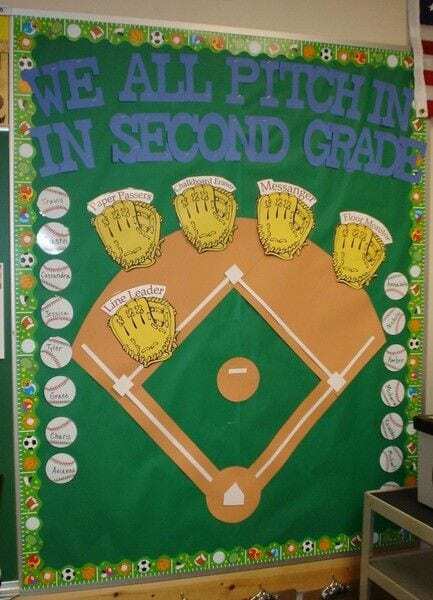 And if you’re not the crafty type, no worries! 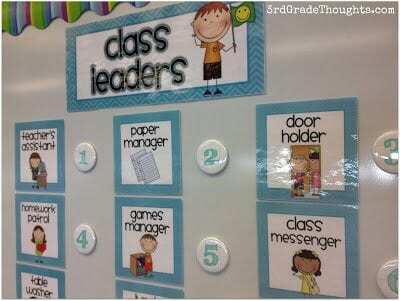 There are lots of inexpensive teacher-created resources that you can purchase. 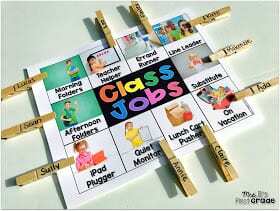 Makes chores look like fun! 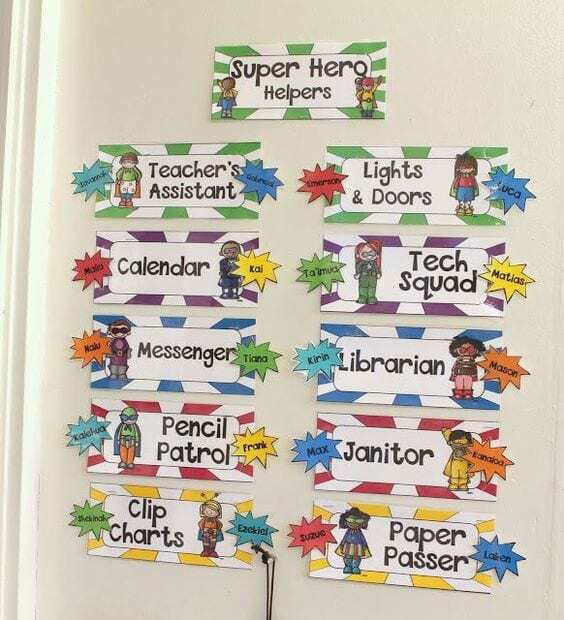 Let your students use their superpowers to help out around the classroom. Plus other cute options by this blogger. Check out the above link. 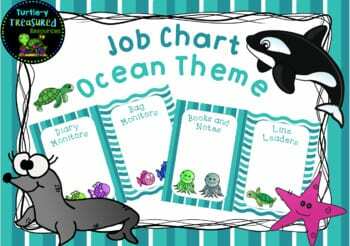 This adorable bundle includes ready-made job cards, editable templates, and colorful fish-themed student name tags. 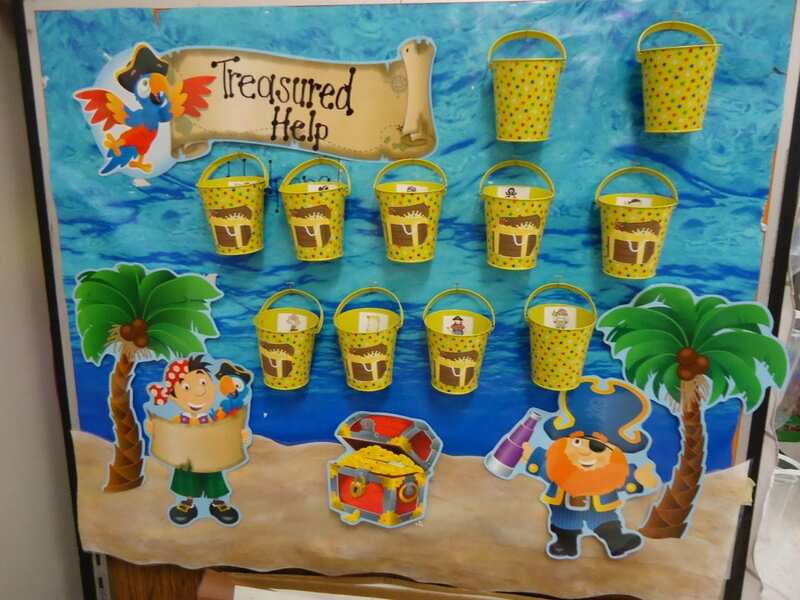 Love the way this teacher used the popcorn buckets! 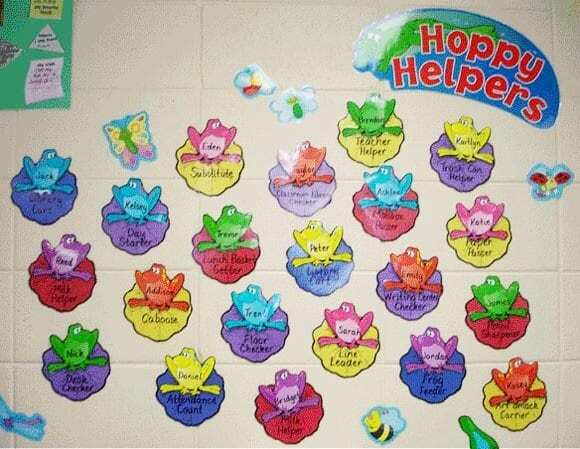 Plus, names are attached with Velcro, so they stay put! If anyone can motivate my kids to do their jobs, it’s cool dude Pete the Cat! 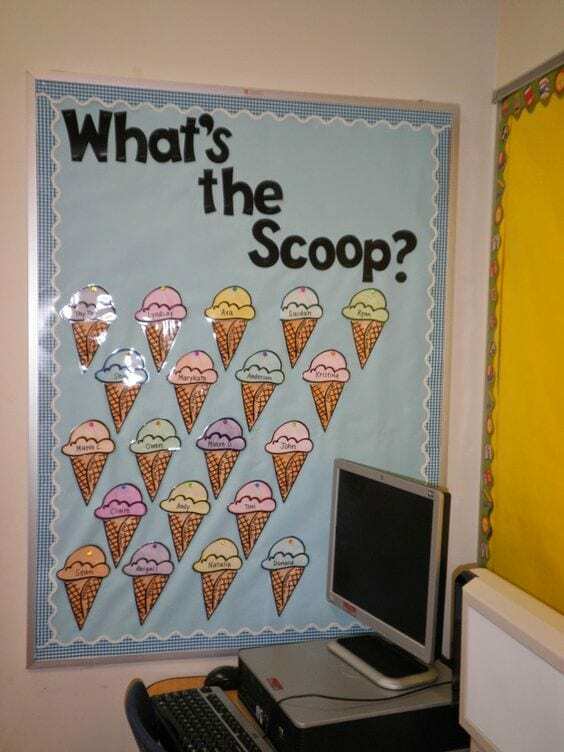 An icy cool way to serve up classroom jobs. 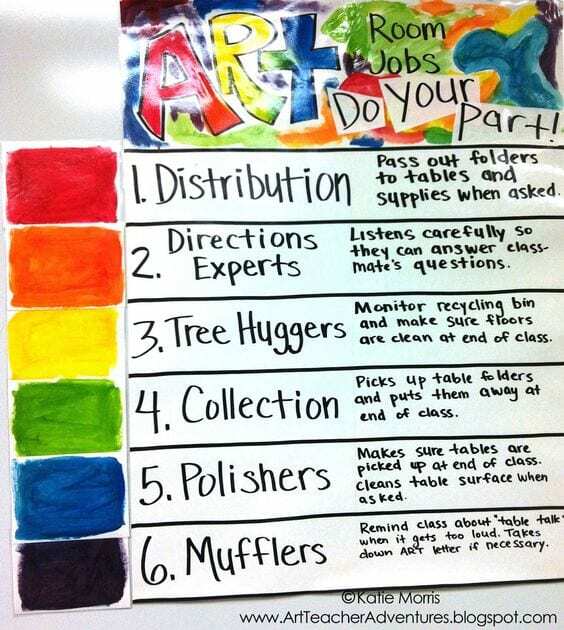 Perfect for your art classroom. Love how this one is tucked onto the side of the filing cabinet. Perfect place to use magnets. Love the job descriptions on this one. 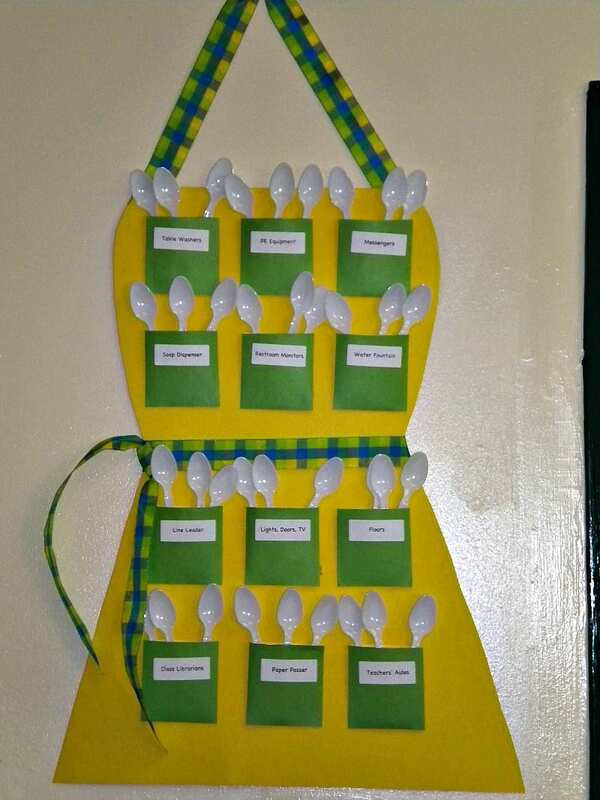 Every pocket has a job, and the spoons inside each have a student name or number. 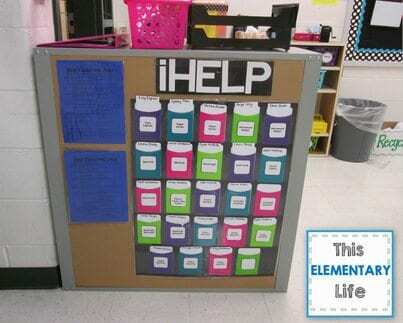 Perfect for home ec. 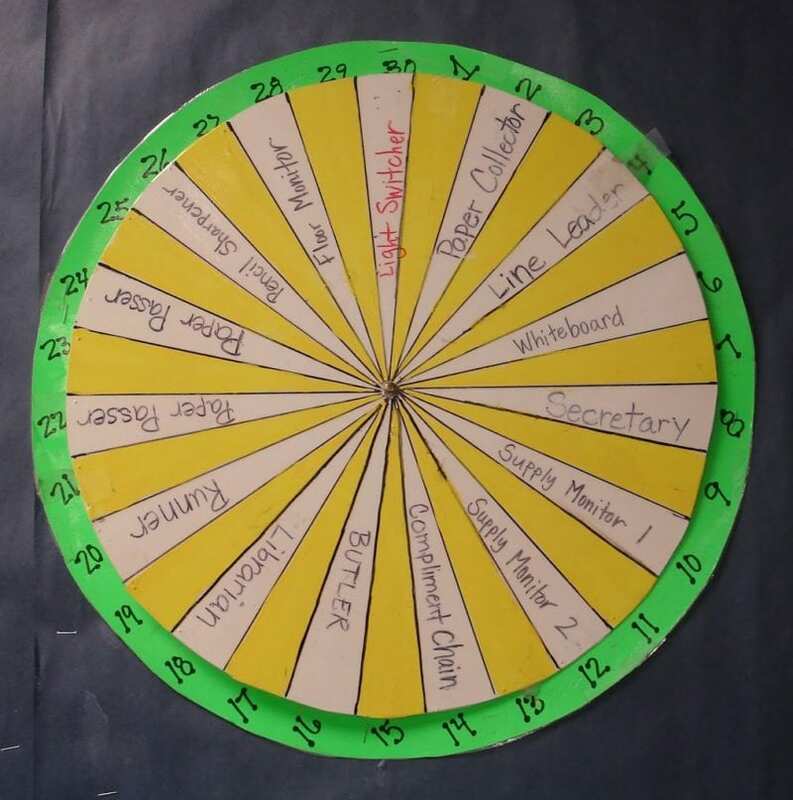 Create this awesome wheel to help kids keep track of classroom tasks. 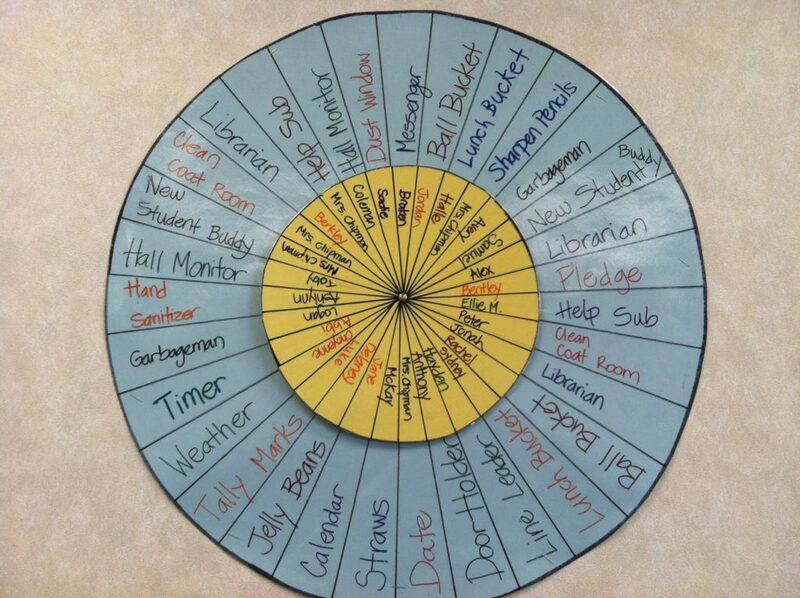 Jobs go on the inner wheel; kids rotate. 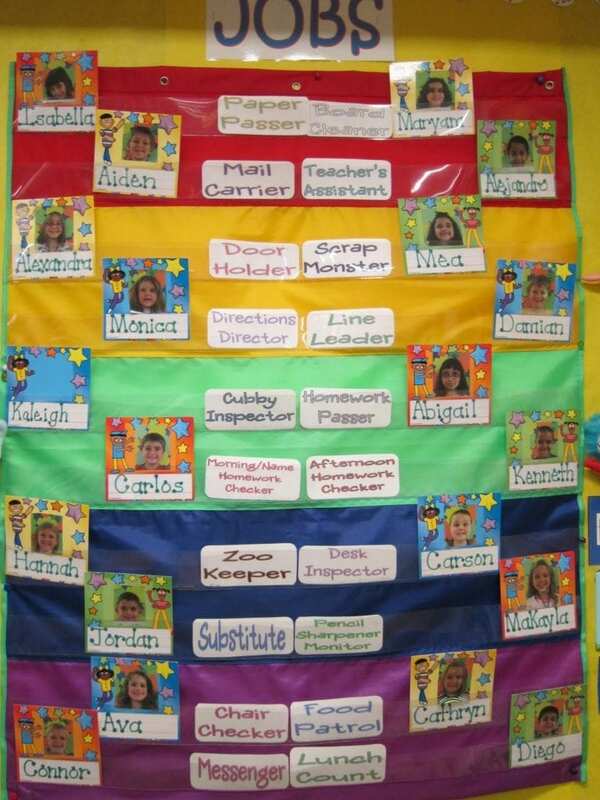 In this one, the kids are in the middle, and the jobs rotate. 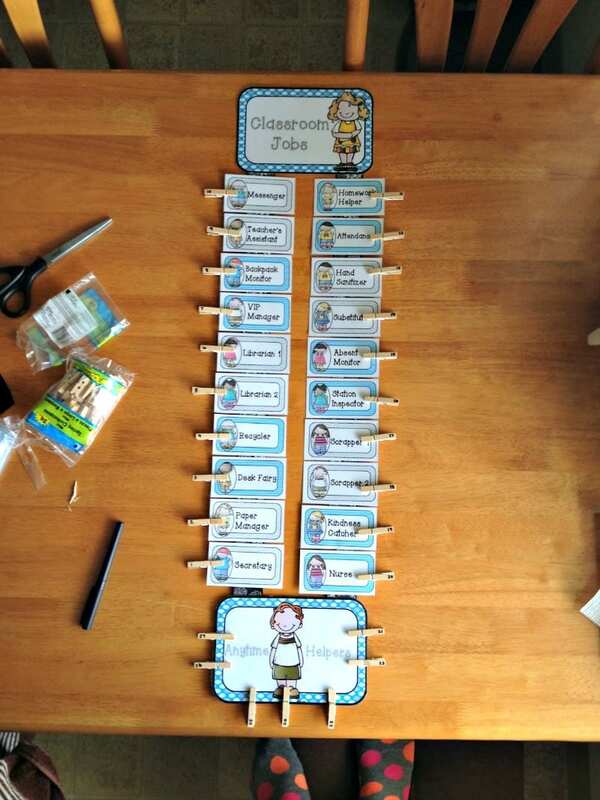 Use dry-erase markers in case your class list changes or you want to tweak the jobs. Love the way the black background makes these colorful pockets pop! 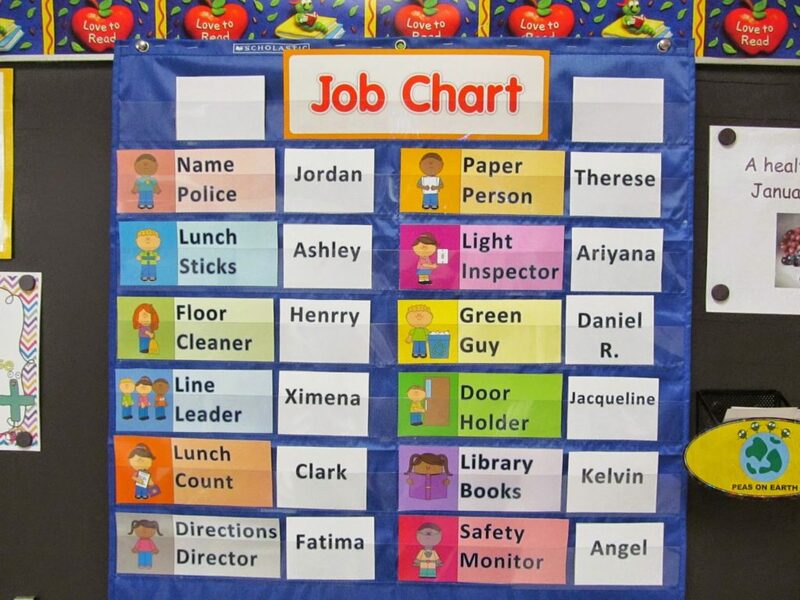 Clever newspaper background on this super cute job chart. Avatars! 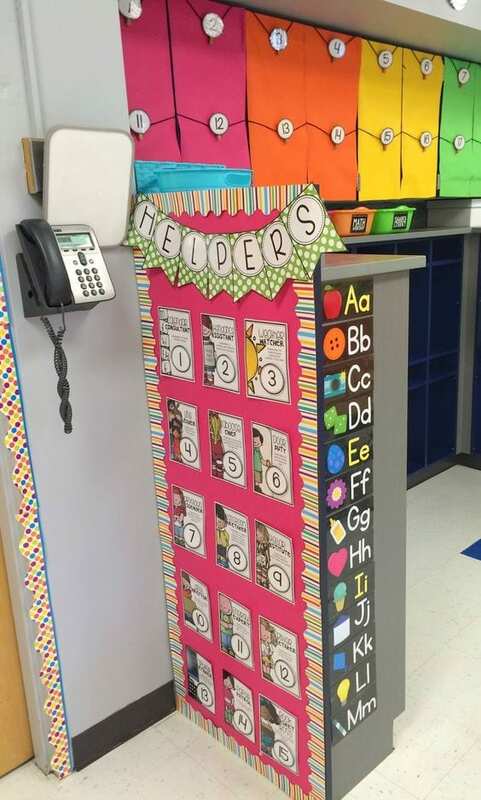 Have your students decorate their own little person to fit into a job pocket. Pockets are sort of like iPhones, and kids love iPhones. 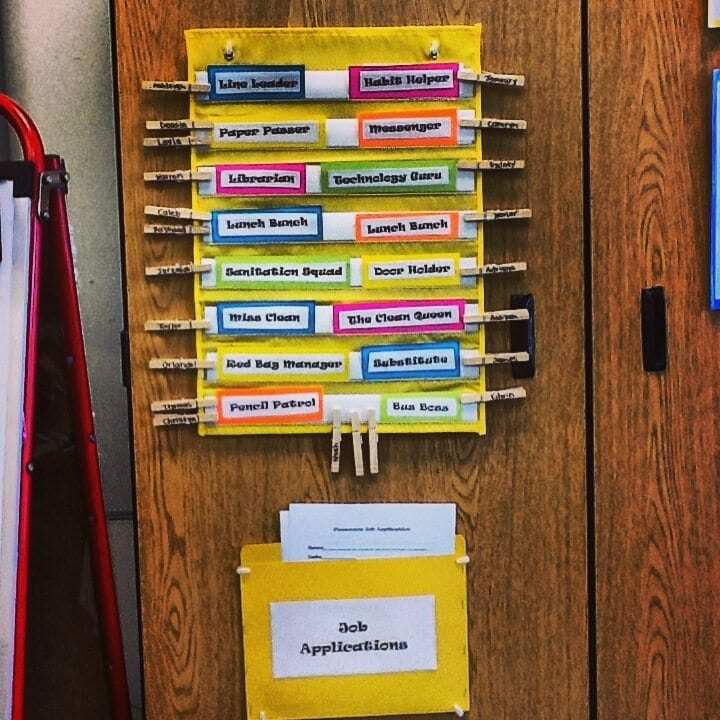 Colorful job descriptions with room on the side for clips. Notice the job applications folder beneath. 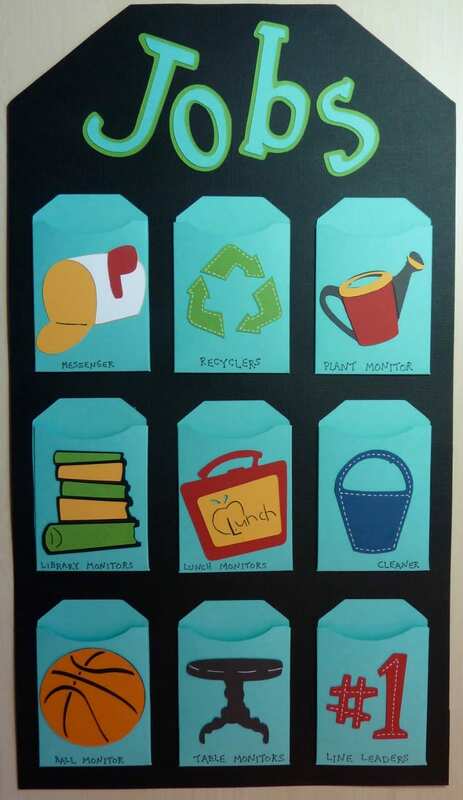 Adorable (and practical). 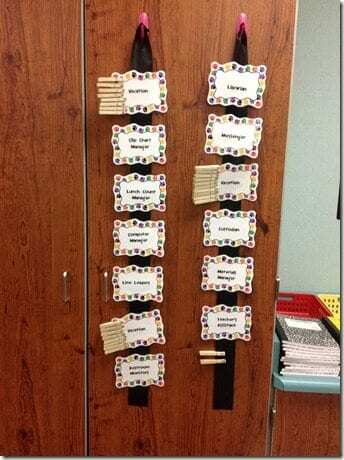 Laminate the job cards so they survive all the clipping that will happen during the year. 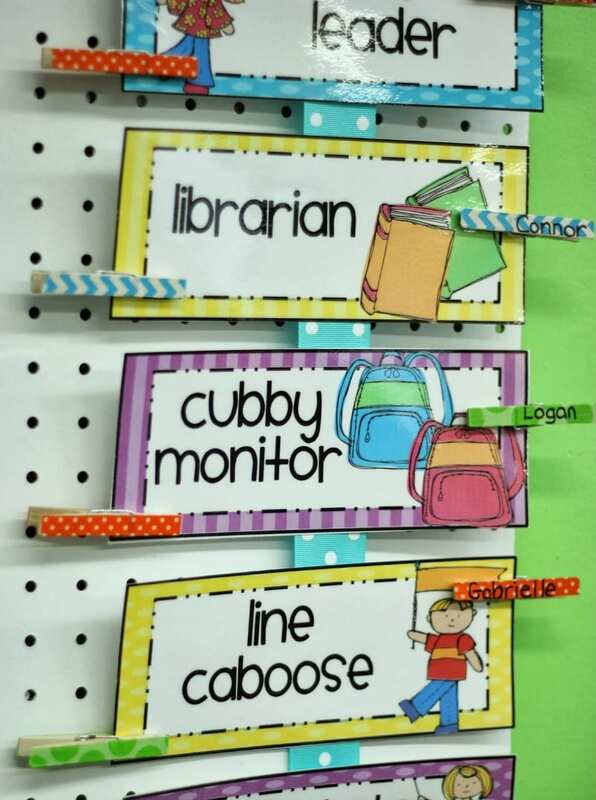 Kids “on vacation” from jobs for the week can be attached to the ribbon at the bottom. 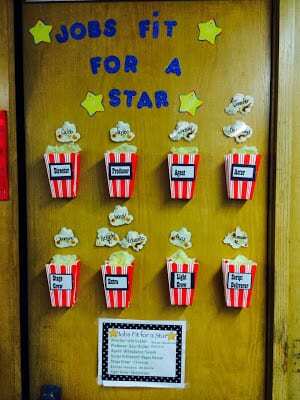 If anyone is absent, those kids can fill in. 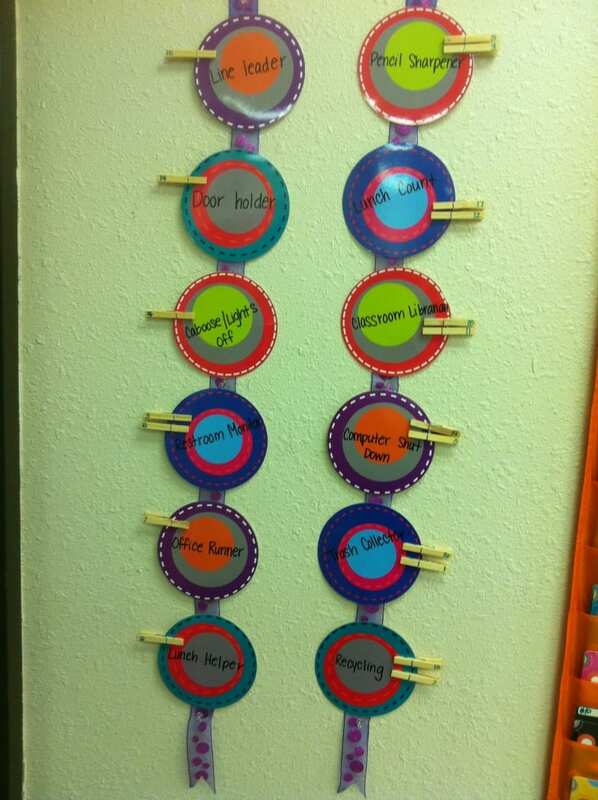 Clip-on colorful circles attached to ribbons—so cute! Circle shapes could be turned into planets, animals, or faces with different expressions. You can use sturdy paper plates as your circle templates. Laminated job cards on a polka-dot background and funky clothespins make a pretty display. Like the one above, just a different style. 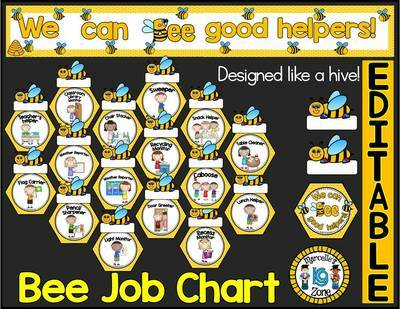 Your classroom will buzz along with the help of busy bee helpers. 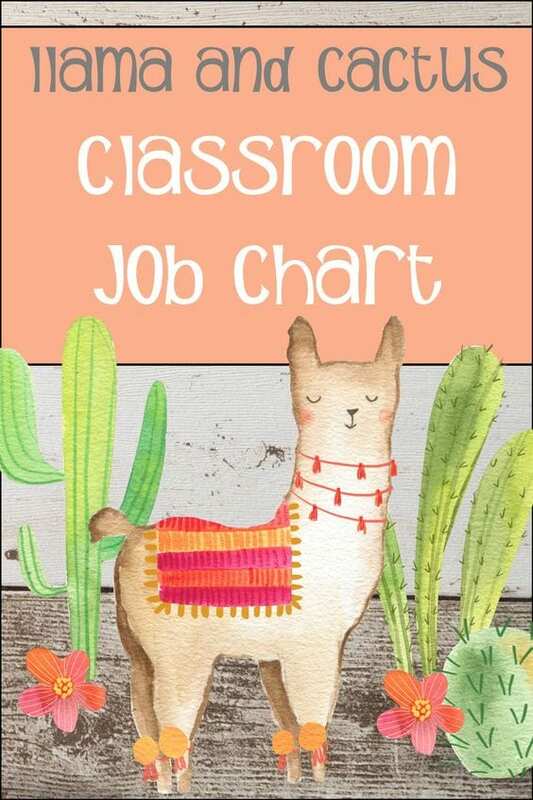 This has to be one of the cutest classroom job charts! 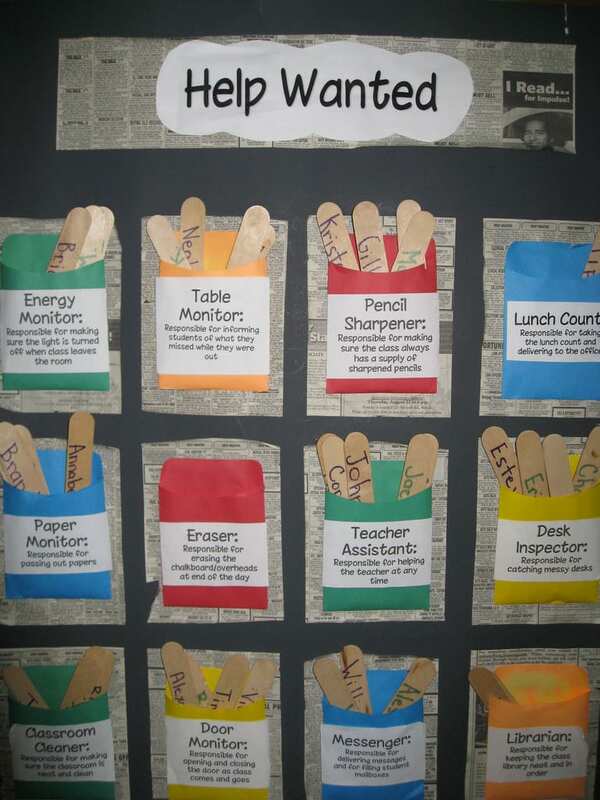 Students can create their own handprint cards to personalize it. Like a giant iPod! Remember those? Get those kiddos hoppin’ with these colorful frogs and lily pads! 31. Let Mickey and Minnie help. It’s like doing chores with an old friend! If you like to keep it simple and straight to the point. Keep it simple, or you can spruce it up with a little color. 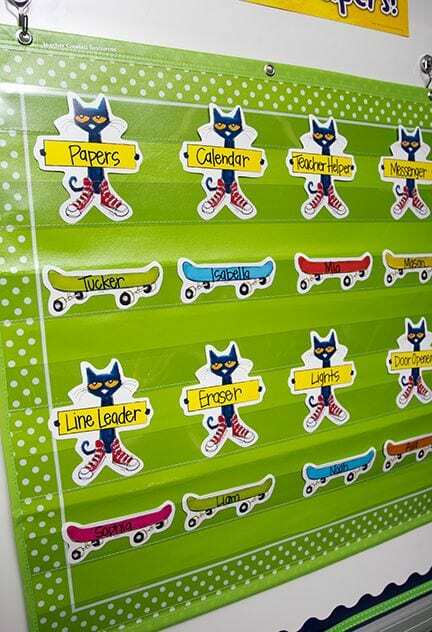 This chart may be store bought, but you can personalize the nameplates with photos of your kids. 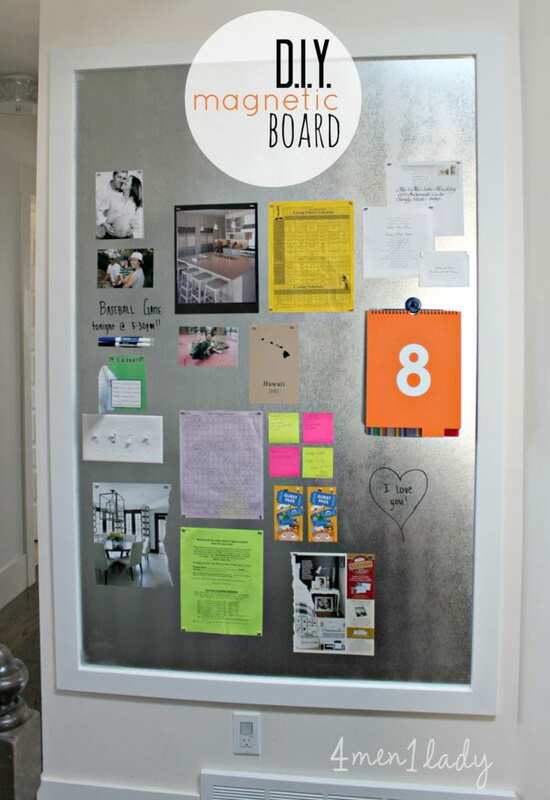 Click here for directions on making your own magnetic job board. 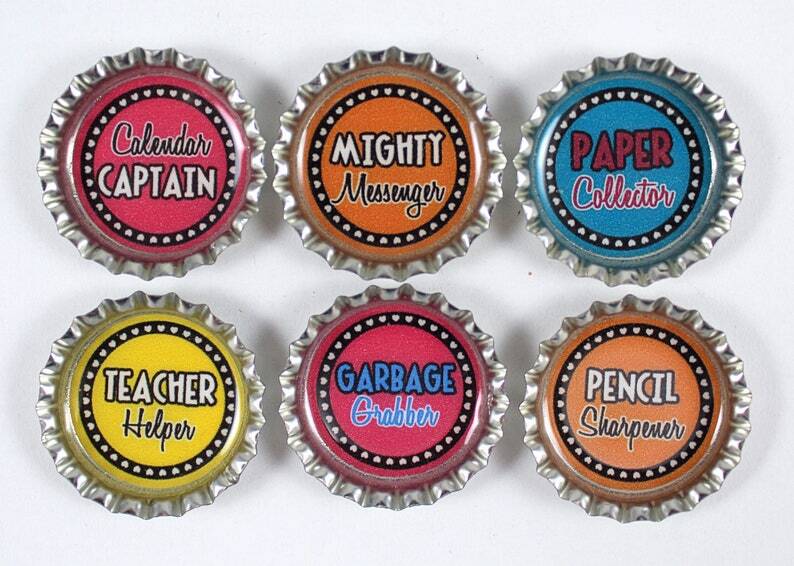 And to go with it, check out these cute magnets. 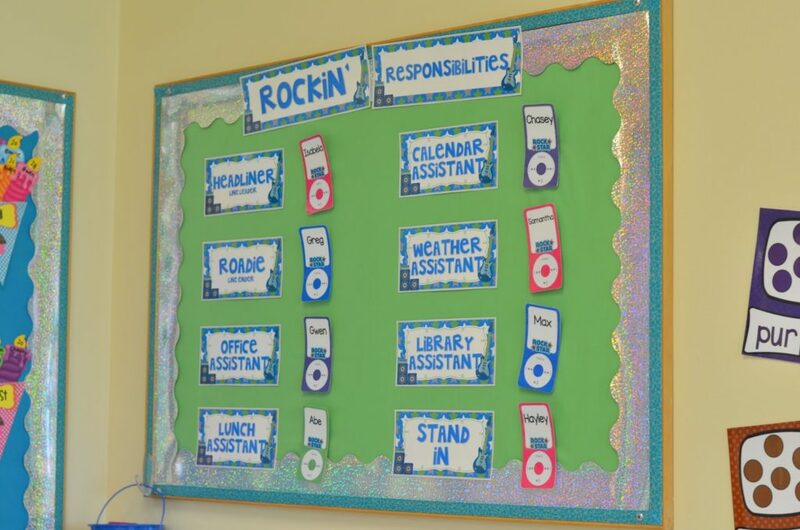 Look how great this magnet job board turned out! And so easy to use over and over each year. 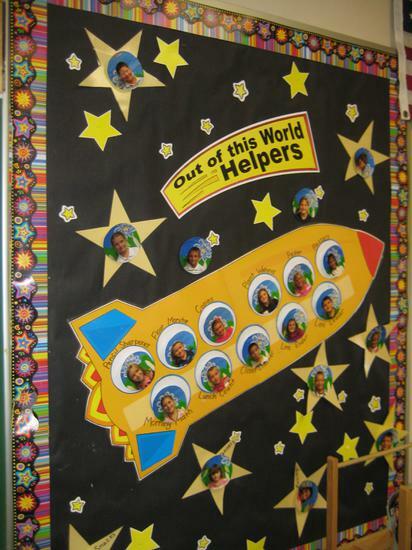 A rocket ship full of helpers to keep your classroom in stellar shape. 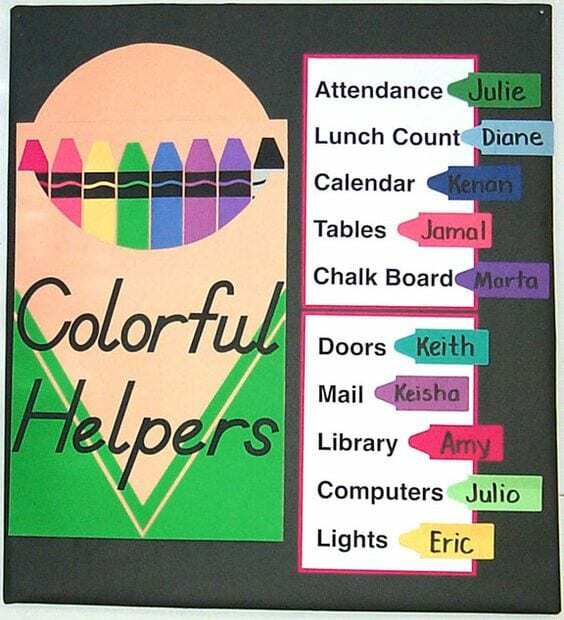 Simple design to DIY, colorful and easy to read. 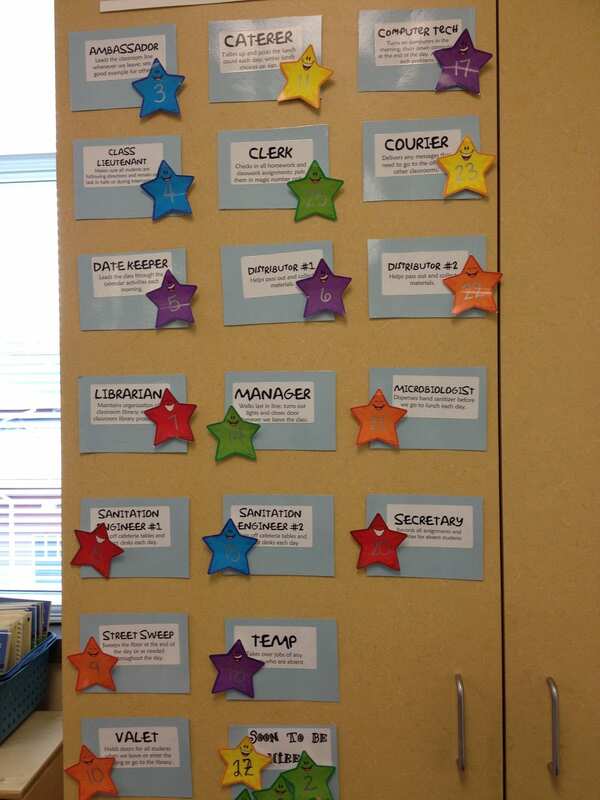 How do you handle classroom job charts? 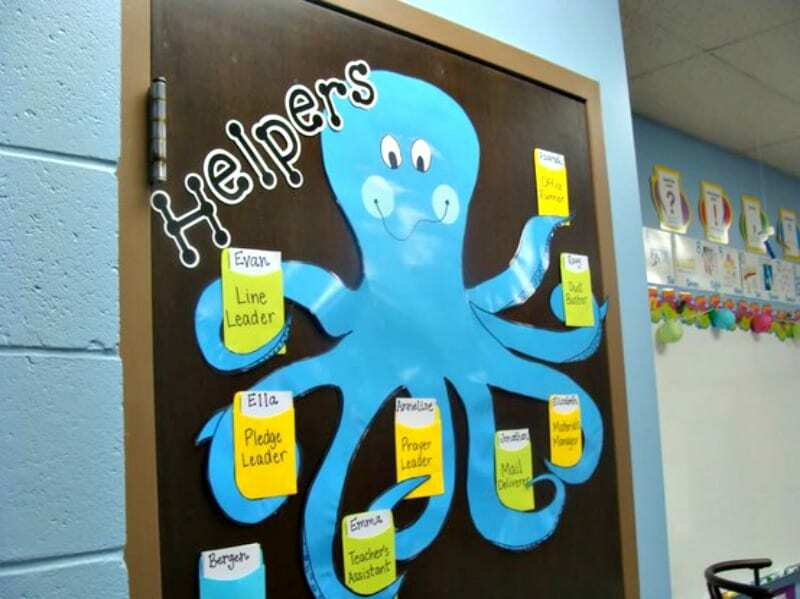 Come share in our WeAreTeachers HELPLINE group on Facebook. Plus, clever ways for choosing partners.